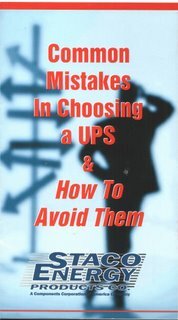 The recently published &#39&#39Common Mistakes in Selecting UPS and How to Avoid Them" is now available from Staco Energy Products. 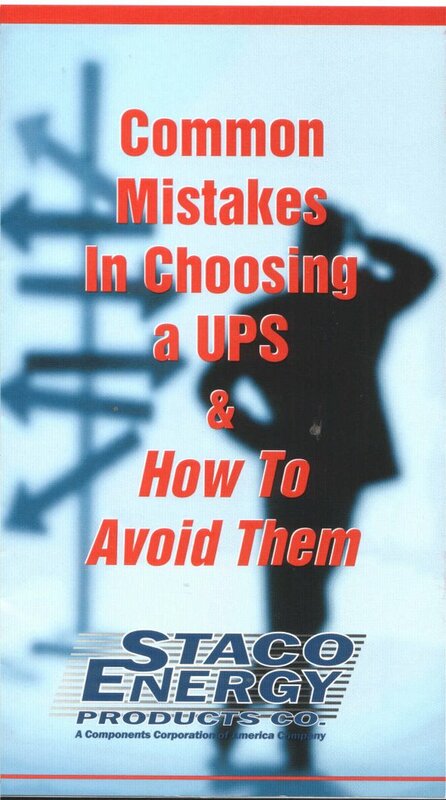 This brochure identifies 17 misconceptions and mistakes that occur when selecting Uninterruptible Power Supplies, and counsels end-users on how to avoid them. Staco Energy Products Co., headquartered in Dayton, OH, is a major provider of voltage control, power conditioning, power factor/harmonic correction, and UPS systems and technologies.